As we get closer to the launch of Nvidia’s GTX 1660/1660 Ti video cards, which is rumored to happen in February, we keep finding interesting details about the cards on the internet. 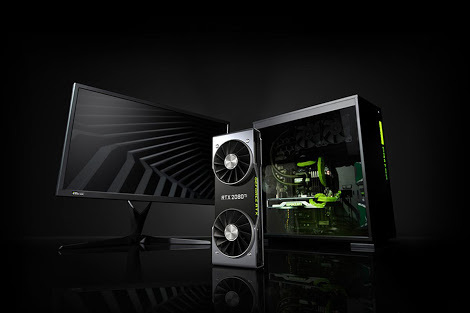 The first rumours about new GTX branded graphics cards surfaced last month and by the end of January it was clear that these are not just rumours and the launches will be happening soon. Now we are near the point where the board partners are all set to stock up and everyone is only waiting for Nvidia to make an official announcement and give the green signal. As first spotted by Video Cardz, a few Russian retailers have already listed the GTX 1660 and 1660 Ti graphics cards by some board partners, namely MSI and Palit. The MSI board partner listings for the GTX 1660 Ti found are the MSI GTX 1660 Ti GAMING X and MSI GTX 1660 Ti ARMOR OC. A few designs from Palit have also been found listed, GTX 1660 Ti Storm X, Storm X OC with compact single-fan design and a dual-fan GTX 1660 Ti Gaming Pro card. The interesting thing to note here is that the retailer who listed the Palit video cards has also mentioned the price for the GTX 1660 Ti cards. The Russian price tag on these cards translates to about $400. Although the US pricing is a little lower when compared to global prices, even then this price simply does not seem fair for the value offered by this graphics card. Considering that the RTX 2060 is already available for $350, the GTX 1660 Ti without Ray-Tracing and other RTX features at $400 doesn’t make sense. The official announcement for the GTX 1660/1660 Ti by Nvidia is rumored to happen anytime soon, so it’s best advised to wait until the official US pricing is revealed before making any purchasing decisions.